An article in the August issue of Seattle Met Magazine explains our brewing process and why our beers can be enjoyed by not only celiac’s & gluten intolerants, but the craft beer connoisseur as well. Check it out here. As of Thursday, February 5th, our taproom will be officially open for business! The inspections are passed, the beer is kegged and ready, the taproom is complete, all systems are go and we are cleared for take-off! Once we’re open, our regular taproom hours will be Tuesday-Saturday, 3 PM to 9 PM, so come on in and enjoy our awesome beer and some gluten-free pizza! We’ve got our three flagships on tap, including our Watchstander Stout on NITRO and a Randall tap to add some crazy herb, fruit, spice, and hop infusions to our beers. We can’t wait to see you here! Yo-ho, Ghostfish fans! We hope all of you had a great holiday season and are getting excited for 2015. This has been the busiest month yet here at Ghostfish—which would be expected this close to OPENING! 1. Our first public tasting at Seattle Cider Company was a roaring success! We shared four beer styles: our three flagships (pale ale, witbier, and stout) and a bonus experimental porter, and kicked all four of our kegs in the first hour! We got a lot of good feedback and positive comments, especially from non-gluten-free craft beer drinkers, and raised $5000 for our Kickstarter. Check out the photos here. We really can’t say enough nice things about the people at Seattle Cider: they let us use their tasting room on a night when they are normally closed, helped us serve the beer and manage the attendees, cleaned up at the end of the night, and did it all with beaming smiles. We can’t wait to return the favor! 2. We reached our Kickstarter goal of $30,000, and then shot past it by another $1,486! AMAZING! It was a hair-raising and nerve-wracking month of campaigning, but you all showed us that you believe in what we’re doing and want to help us achieve our vision. Words cannot express how amazing it feels to have this kind of support from the community. Now we can afford to build out a pilot system and brew lab to develop new recipes and brew a huge portfolio of taproom-exclusive beers, and sharing them with you all will be the REAL reward! 3. Our 15bbl brewhouse has ARRIVED and is being installed as I type this! This is the heart of our brewery, the equipment that allows us to actually brew the beer, and is the final piece of the puzzle. At this point it is literally just a matter of fitting everything together and putting the finishing details on our taproom…and of course, receiving our licenses. We are still optimistic that we can have our Federal license before the year’s end, and there’s a good chance that we’ll be ready to brew our first saleable batch as soon as we get our license. We are getting so close, people! Well, the time sure has been flying by! I guess that’s what happens when you’re putting in close to 60 hours a week working on really exciting stuff! As predicted, things have been extremely busy here at Ghostfish ever since we signed the lease on our space. We have wasted no time at all in getting to work on building Seattle’s first dedicated gluten-free brewery! First, we completed our TTB application and submitted it for approval. The current forecast turn-around time for this is approximately 120 days, but we’re keeping our fingers crossed that our good luck streak holds and we get a response sooner. We’re now on to state and local permits…when other brewers told us to expect a mountain of paperwork, they really weren’t kidding! Good to know our industry is thoroughly regulated. Oh my goodness have I ever been waiting a long time to make this announcement: Ghostfish Brewing Company has signed the lease on the property that will house our brewery and taproom! That’s right, Washington State’s first dedicated gluten-free brewery finally has an address! 2942 1st Ave. South, Seattle WA, nestled between S. Hanford street to the south, and S. Forest street to the north. Right in the heart of Seattle’s SoDo district, just a few blocks from the West Seattle bridge, and conveniently accessible by two freeways (I-5 and WA-99) as well as Link Light Rail (the SoDo station is just a few blocks away) and a variety of bus lines. …but finally we can say “It’s really happening!” That’s right, beer fans, Ghostfish Brewing Company is now fully-funded and ready to start putting our backs into it! 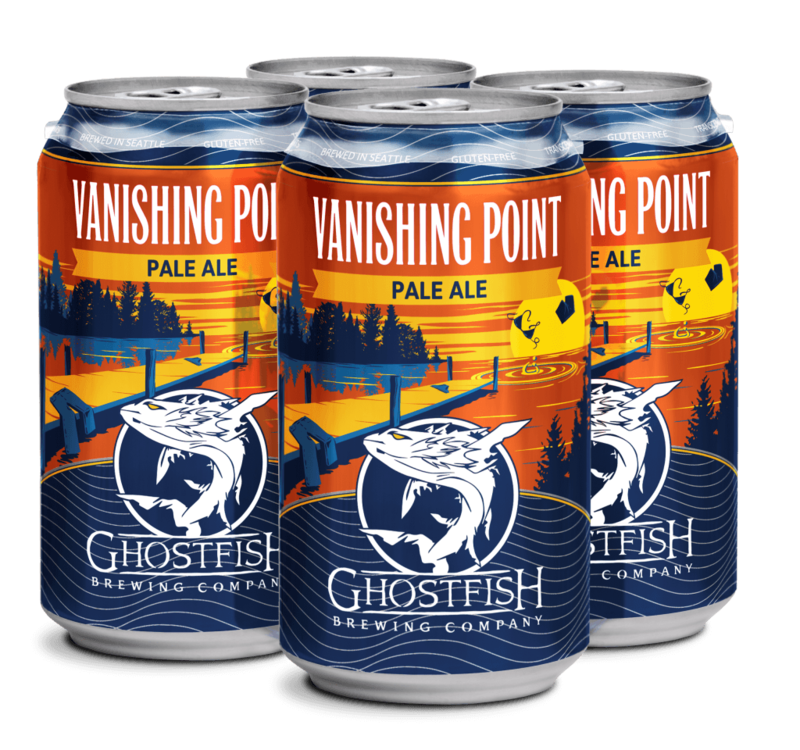 Things have been quiet on ghostfishbrewing.com, and perhaps some of you were wondering if we’d slipped back into murky depths from which we came. Nothing could have been further from the truth! We have been diligently fundraising all this time, and are proud to welcome the newest member of the Ghostfish team: Wayne Moore, long-time family friend of founder Brian Thiel, and an intrepid spirit who recognized the vision behind our endeavor and wanted to share and support it. …And so it begins! The time for gathering and preparation is finished, and we now begin the arduous journey of permitting, design, construction, permitting, installation, R&D, permitting, inspections, outreach, and did I mention permitting? But rest assured, now that our funds are in place, we are all working full steam ahead to get our beer in cans and into your thirsty hands as soon as humanly (and legally) possible.